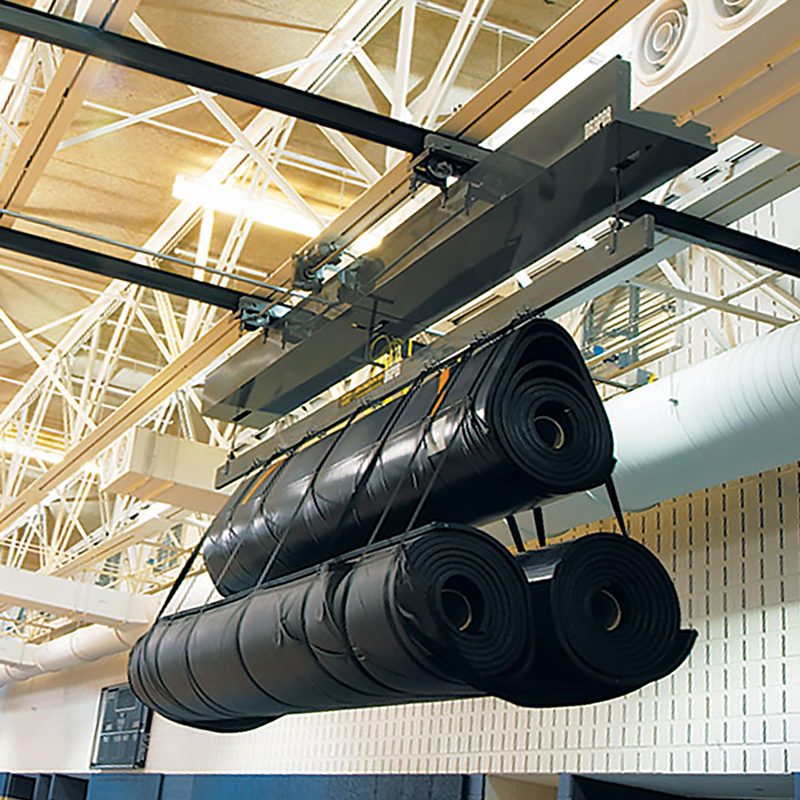 Sectional Mat Lifter - 502069 :: Draper, Inc.
To ensure balanced operation, the Sectional Mat Lifter unit features a two cable system. 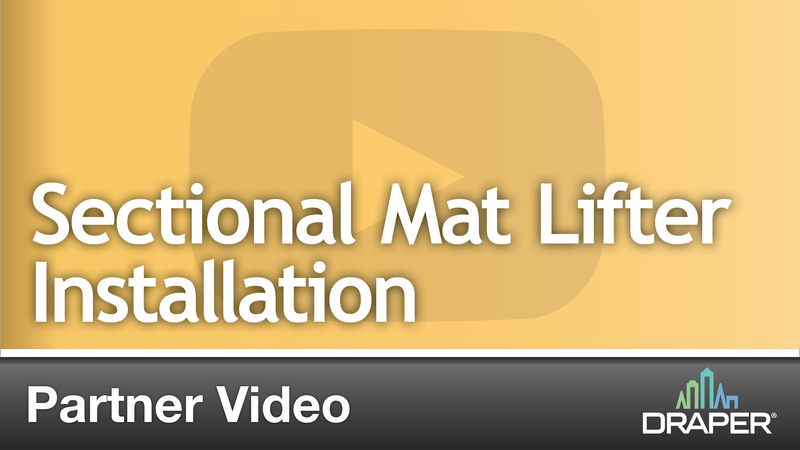 Standard lifter, load bar, and slings shall be capable of supporting three 15’ x 45’ (457 cm x 1,372 cm) wrestling mats (weighing approximately 1 lb/ft²) in a pyramid arrangement. A custom integrated motion alarm system automatically sounds when the lifter is in motion. In case of a power outage, an emergency lowering manual override brake is included. Motors, drive assembly, and all control mechanisms are encased in a fire proof safety cover. Supports three 15’ x 45’ (457 cm x 1,372 cm) wrestling mats (weighing approximately 1 lb/ft² (4.88 kg/m²) with a 5-to-1 safety ratio. Unit weight excluding mats is approximately 950 lb (431 kg). Two 5-16" (13-41 cm), 7 x 19 lifting cables.